Call 702-462-9200 for Vegas Bail Bonds. 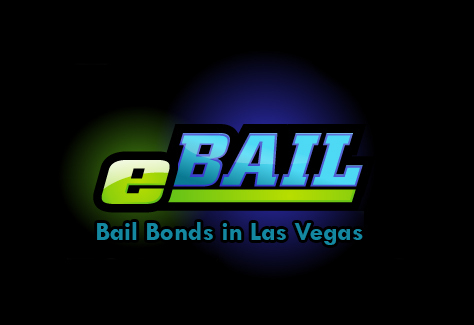 eBAIL is a professional Bail Bond Company that serves the greater Las Vegas, North Las Vegas and Henderson area. With our Online Bail in 3 minutes or less or bail by phone process, it is very convenient to get your friend or loved one out fast. Our office is conveniently located off the 95 freeway going west on Charleston or if your coming off I-15, we are just minutes going east on Charleston. The address is 3100 E. Charleston Suite 108, right on the corner of Mojave Street, nested between beautiful flowers and trees. eBAIL is fully licensed by the NV Department of Insurance, bonded, insured and also accredited by the Better Business Bureau. We are also authorized by the Courts in Las Vegas, North Las Vegas and Henderson to post Bail Bonds at their facilities. In your time of need for a Bail Bond we are here for you 24 hours. The best attorneys in Vegas trust in eBAILs fast, professional and confidential service. Almost ninety percent of our business is based on referrals of either previous clients or attorneys. Our reputation speaks for itself and the choice for Vegas Bail Bonds is clear: Call us right now 702-462-9200 or visit our company website for Online Bail Bonds in 3 minutes or less! Next post: Aladdin for Bail Bonds?